I love that the episodes share lessons of courage, confidence, working together, and faith. Each lesson is blended with wonderful puppy entertainment that most kids are sure to enjoy. Their Motto “A pup for every person and a person for every pup” helps reinforce the idea that puppies need a perfect home and help in finding that perfect home. 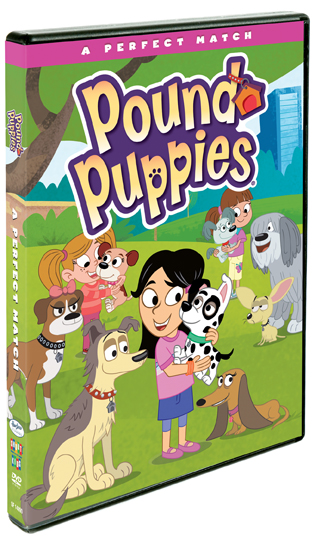 Pound Puppies is entertainment for kids and the whole family as the Pound Puppies crusades help find perfect homes for all those entering the pound, whether they be old dogs or young pups. As an added bonus I found a Pound Puppies printable Official Adoption Certificate. To download and create the Certificate simply click the image below, save the PDF, print it and fill it out.